The CQC (Care Quality Commission) is the organisation making sure health and social care services provide people with safe, effective, compassionate, high-quality care and encourage care services to improve. Before a care provider can carry out any of the activities that regulated by the CQC, they must register and satisfy them that they will be able to meet a number of legal requirements. Activities regulated includes the treatment, care and support provided by hospitals, GP practices, dental practices, ambulance services, care homes and home-care agencies. 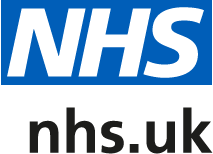 For more information about the CQC, you can visit their website.